365tickets Ireland Vouchers, Discount offers and Free Gifts in April 2019. 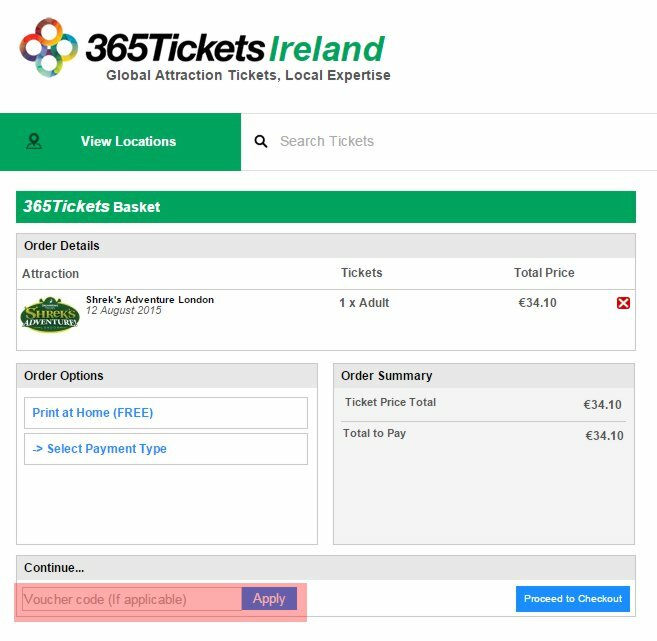 Redeem a 365tickets Ireland Voucher from voucher-code.ie and get your benefit at 365tickets.ie. 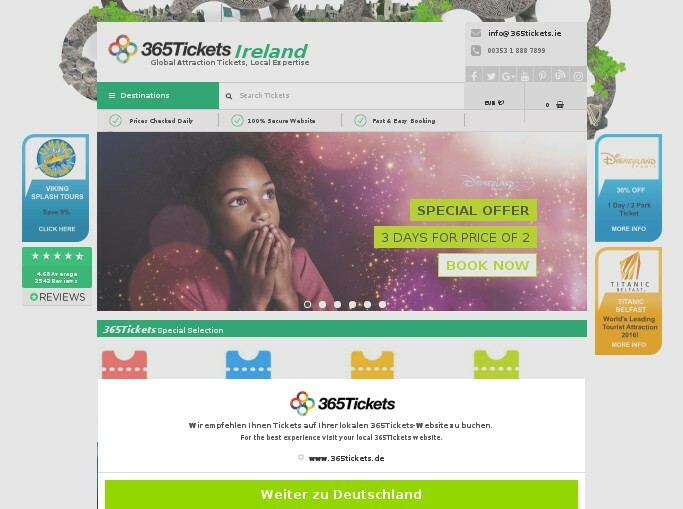 Never miss again a 365tickets Ireland voucher or sale offer! 365 Tickets sells e-tickets to more than 1000 Visitor Attractions and Theme Parks worldwide. The competitive pricing, innovative sales techniques and reliable reputation have made them favourites with both the public and suppliers who frequently offer them exclusive deals. They have recently completed a rebuild of their systems, both front and back ends allowing them to create specialist skins for regions, countries and genre. The portfolio is growing rapidly with new products being added every week. When 365 Tickets started their first website in 1997, they had a very clear-cut mission: to take the simple process of selling attraction tickets online - and do it extraordinarily well. They also believed that online customers should benefit from their use of cutting-edge technology and never pay more than the face value of any ticket and also profit from discounts when buying tickets for more than one attraction in the same transaction. As the years have gone by, they have maintained their gate price or less policy and have gone much further offering significant discounts on many attractions. Now into their second decade online, they have significantly extended their international product range and introduced tickets for major UK exhibitions. Please enter a voucher code directly in the 'Voucher code (If applicable)' box on the basket page and activate encashment by hitting the "Apply" Button. Discounts will be applied only if the code is valid and meets the minimum value required.